This one’s going to hurt the wallet. All Korg software and apps are taking huge price slashes for this month only. Most notably Korg Gadget, the maker’s music production software and plug-in collection, is going for 50% off. 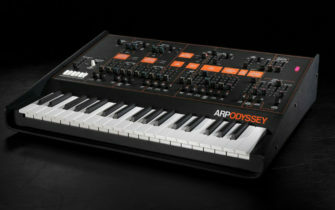 Their other flagship Korg Collection, a cohort of software instruments recreating the MS20, ARP Odyssey and more, has been reduced from $249.99 to $149.99. Been keeping an eye on Korg Gadget and Korg’s app range? With huge discounts across the board, this could be your best chance ever. A while back I grabbed the iOS port for the MS20 and it’s still one of the best music apps I’ve ever bought. Of course it doesn’t sound exactly like the original beast, but having a few modern features like a built-in sequencer and place to save your patches is a huge plus. The sale applies to all iOS music apps including iWavestation and iMono/Poly, plus Korg Gadget’s app version. It’s worth noting you can sync projects between Korg Gadget for Mac and iOS. The newly published Koassilator app for Android is also on sale. Unfortunately, Korg Gadget for Nintendo Switch is not on sale for reasons unknown. This sale is open now, and runs through until August 8th. Find out more on Korg’s website.